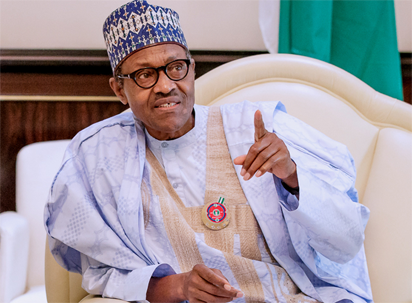 The Peoples Democratic Party, PDP, yesterday, reported President Muhammadu Buhari to the United Nations, UN, over alleged plots by the Presidency and the All Progressives Congress, APC, to scuttle the 2019 general elections, particularly, the presidential poll. The PDP said there is tension in the country over possible manipulations by the Presidency, adding that if the UN and the international community failed to intervene and support a credible, free and fair election, the nation may wake up to a post-election violence capable of birthing a huge humanitarian crisis not only in the country but also in the entire West African sub-Sahara region. The party stated this while receiving a delegation of the UN at its national secretariat, Abuja, yesterday. Elsewhere, Elder statesman and South-South Leader, Chief Edwin Clark and Bayelsa State Governor, Henry Seriake Dickson, also alleged that the Federal Government and the ruling party were abusing the security agencies with the intention of manipulating the 2019 polls. Speaking with Journalists in Abuja shortly after Chief Clark paid the governor a condolence visit on the death of his mother, Ma Goldcoast Dickson, the duo said with the activities of security agencies, especially the police in recent times, there is a threat to the nation’s democracy ahead of the 2019 polls. According to them, the security agencies have now turned themselves into an extension of the ruling party. Also, the national leadership of the APC asked Nigerians not to take the PDP and its leaders and supporters allegation seriously because it is a non-issue. 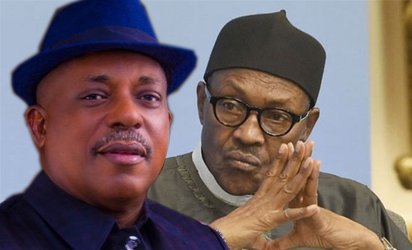 PDP National Chairman, Prince Uche Secondus, who led the members of the National Working Committee, NWC, to receive the Special Representative of the UN Secretary General for West Africa and the Sahel, Mr. Mohammed Ibn Chambas, in his office in Abuja, claimed that President Buhari was compromising the military and other security forces to muscle the electoral process. His words: “President Buhari is not preparing for elections. He is not prepared for the rigours of any electoral exercise. Every well-intentioned politician goes out to the street to engage and persuade the people with his or her manifesto and policies, but President Buhari is not ready to engage anybody in contest of ideas; that is why he is desperate to compromise our military as a measure of limitless powers to rig. “The world saw how our service chiefs participated in President Buhari’s campaign rally. There is no way these service chiefs will not be pushed to resort to self-help on behalf of President Buhari and his APC in the election. The UN Security Council should note this and intervene to save our democratic process. “President Buhari has militarized our electoral process. In the July and September governorship elections in Ekiti and Osun states respectively, in addition to various bye-elections, military equipment were rolled out to prevent the opposition from voting. Citizens were freely manhandled, arrested and subjugated by security agents, who openly worked for the APC. Today, in Nigeria, the PDP is contesting with security forces and not with the APC. “President Buhari has compromised our Police. As we speak, the Inspector-General of Police has sealed the Akwa-Ibom State House of Assembly and seized an arm of government, just like they did in Benue State in July. Our country has been turned into a police state and there is fear everywhere. “Similarly, our Independent National Electoral Commission, INEC, has been annexed by the Buhari Presidency. This is the reason it has not been able to conduct any credible election in the last three and half years. Nigerians have lost confidence that INEC as presently constituted can guarantee credible polls in 2019. We, therefore, demand for the resignation of the INEC Chairman, Prof. Mahmood Yakubu and Mrs. Amina Zakari, who is a niece of Mr. President. Speaking earlier, Mr. Chambas urged political stakeholders in the country to follow the rules of engagement to ensure a smooth electoral process in 2019. Averring that politicization of security agencies would threaten Nigeria’s stability, Chief Clark and Governor Dickson noted that Nigerians were deeply worried about the conduct of the security agencies across the country, which they alleged were morphing into an extension of the ruling APC ahead of the 2019 elections. Dickson, who condemned the recent assassination attempt on the Deputy Senate President, Senator Ike Ekweremadu, and the police invasion of the Akwa Ibom State House of Assembly, described the action of the police authorities, who sealed off the House of Assembly, as an assault on democratic order that must be condemned and discouraged. According to him, the recent posting of eight police commissioners to Bayelsa State within a period of three months showed a sinister plot to destabilize the state ahead of the polls. Dickson called on relevant authorities and security agencies to conduct themselves in a way that would promote the nation’s democracy rather than putting it in jeopardy. His words: “We are all concerned about the conduct of security agencies ahead of the 2019 general elections. In fact, all lovers of Nigeria and democracy are concerned about the conduct of the security agencies. The agencies have become an extension of the ruling party, which should not be. The abuse of the security forces constitutes a threat to the security, democracy and stability of the country. “I condemn the recent assassination attempt on the life of the Deputy Senate President, Ike Ekweremadu. It is totally reprehensible. I also condemn the invasion of the Akwa Ibom State House of Assembly. It was a desecration of the democratic order. “In Bayelsa, we have had no fewer than eight police commissioners in the last three months. It won’t take you long to know that there is a sinister game going on to destabilize and create instability in the state that we have worked so hard to stabilize. We urge the security agencies to conduct themselves in a way that would stabilize democracy. “The greatest challenge we have ahead of the 2019 election is the conduct of the security agencies. That is the concern of all well-meaning Nigerians. Politicians and people in government need to know that there is a country to govern after elections. In tandem, Chief Clark, who condemned the erratic transfer of eight police commissioners to Bayelsa State in three months, said that he was not surprised at the conduct of the police as they recently invaded his house in Abuja even at his old age of 91 in a purported search for arms. Clark cautioned a former governor of Bayelsa, who is a chieftain of the APC, for instigating the politics in police postings to Bayelsa State. Clark said: “Nigeria does not belong to any individual or group of people. The moment you turn Nigeria to a place where there are first class citizens and second class citizens, you are creating a situation like what happened in Sudan. We are all equal but the way they are using the police to embarrass various governments is wrong. In our place, Bayelsa State, one of the smallest states in this country, what have they done? “I helped to make the former governor but the way he is parading himself and creating instability in the state, he will not succeed. They are all laughing at him, even the people using him are laughing at him. How can you post eight police commissioners to one state within three months? One spent only a night, is he the one posting them or the Inspector General of Police, IGP that is posting them? then you are taking charge of other places, intimidating people. Governor Wike, in a statement by his Special Assistant on Electronic Media, Simeon Nwakaudu, raised the alarm that the Federal Government had concluded plans to plant 800 guns in Rivers to militarise and destabilise the state. He alleged that plot was conceived at the last security meeting, adding that the intelligence came from credible sources that were privy to the ugly plot against Rivers State. Wike called on the international community to take note of the proposed illegal action of the APC Federal Government, which is aimed at creating crisis in the state. He regretted that the APC Federal Government has continued to work deliberately to compromise the security of Rivers State. Governor Wike urged the people of the state to remain calm, but vigilant, adding that the evil machinations would not distract the state from delivering on her constitutional responsibilities to Rivers people. Reacting to the allegation, the Rivers APC in a statement its Publicity Secretary, Chris Finebone, said such utterances were not supposed to have come from the governor of a state. Finebone said: “These are part of the manifest lies that can only come from an accidental governor, if you know what that means. We know that governors who deserve or merit the high office they occupy do not go to bed, wake up and spin such blatant falsehood as in this case.